I wanted to see if I could make my renders a little more realistic. 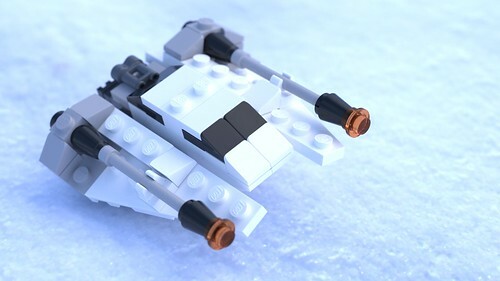 I chose my render my Mini Snowspeeder model using a more realistic sky sphere, a snowy floor texture, and a bit more blur. In addition to the Blender changes, I used Scrubs new subdivision script to smooth out the meshes. It introduced some minor artifacts, but overall looks better than the original.